Today I am going to let Guest Blogger, Bryn Huntpalmer, show you how to use flowers to enhance your home decor…Enjoy! Who among us doesn’t love receiving flowers? The vibrant colors and delicate fragrances definitely add a special element to celebratory occasions like graduations, birthdays, and weddings. But why limit your enjoyment of flowers to just a few dates a year when there is such an incredible variety of beautiful blooms all year round? 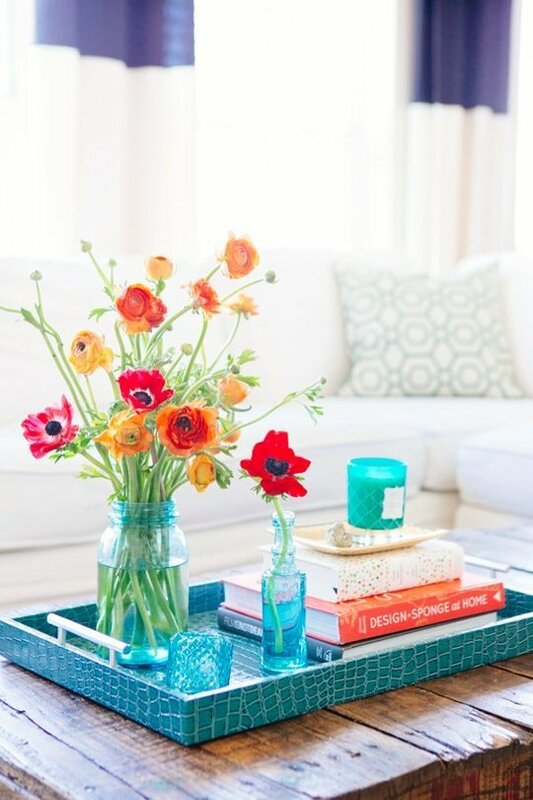 Give your home a vibrant new energy by including fresh flowers throughout your home. Decorating with flowers is inexpensive and a great, commitment-free way to infuse new colors and style into your rooms. If you’re working in a room with a neutral color palette, consider including flowers to create a burst of color and to add a stronger design element into the room. For instance, if you going for a rustic look, think about featuring bright purple cornflowers or bold sunflowers in a weathered mason jar or tin can. For a more romantic look, bunch roses or hydrangea closely together and cut stems so that blooms are flush with the mouth of the vase. Choose a clear glass vase or something simple and polished to complete this look. Toward the end of the summer, take advantage of seasonal gladiolas for a tall, elegant arrangement that will bring a rainbow of colors into your home. Flowers and plants don’t have to be limited to living rooms and bedrooms. In fact, a number of flowers thrive in the bathroom because of the humidity. 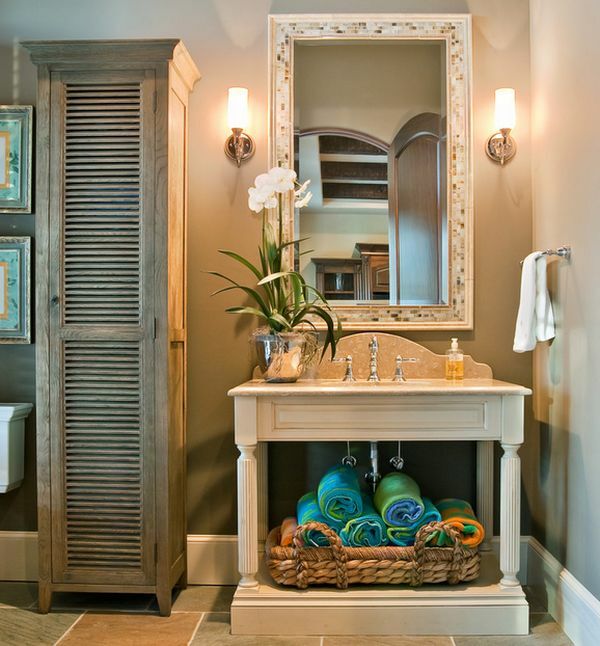 Consider brightening up a lackluster bathroom with a tall, colorful orchid. They won’t take up much of that coveted counter space, don’t require direct sunlight, and only need watering every 7-10 days. For a funkier look, try out airplants. These fun flowers don’t need dirt, but they do need water. Place them in a pretty dish with some rocks and watch them thrive. Limited on table space, but still want to include flowers in your home? Check out this DIY artwork that you can regularly update to bring new colors and fragrances into your space. 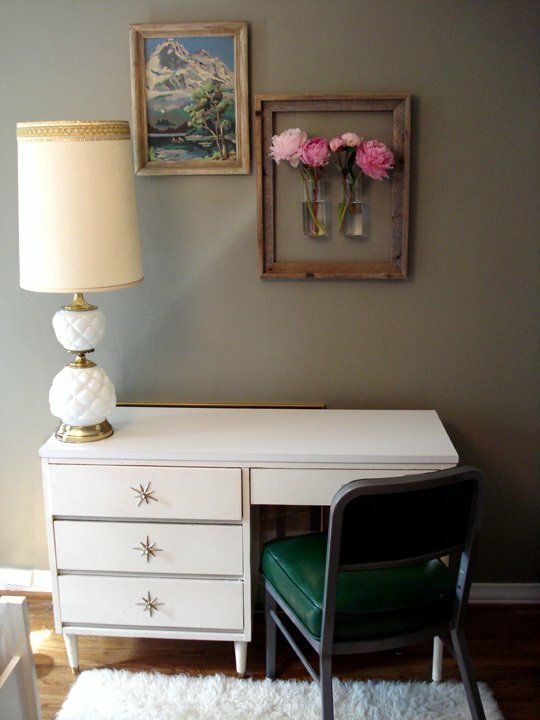 Simply frame two wall sconces (or however many you like) and frame for an instant masterpiece! Fresh cut blooms that are just slightly larger than the sconces work well with this set up. Try peonies, carnations, tulips, or a vibrant pink dahlia. 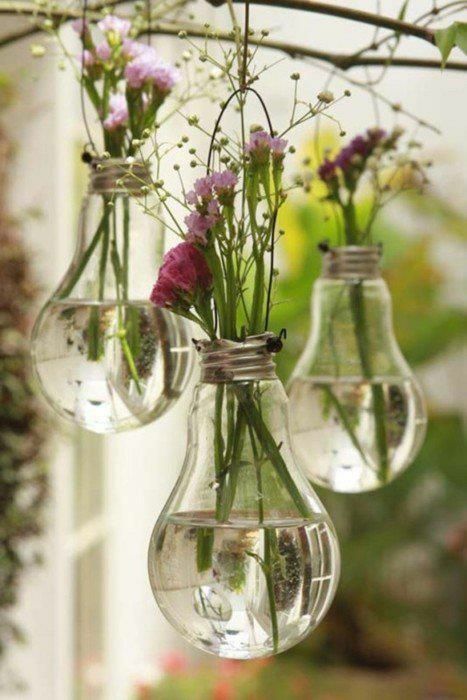 Up-cycle an unexpected item like a lightbulb, a maple syrup bottle, a child’s long forgotten test tubes from a science kit, or even extra clothes pins (adhered and encircling a simple jar or can) to create an arrangement that is a definite conversation starter. Use these unique vases to create a whimsical flower garden in a large kitchen window, sunroom, or screened in porch. This is a great way to dress up simple, romantic flowers like sweet pea, lily of the valley, pink astilbe, or lavender. Need more home decor inspiration? Check out Modernize!